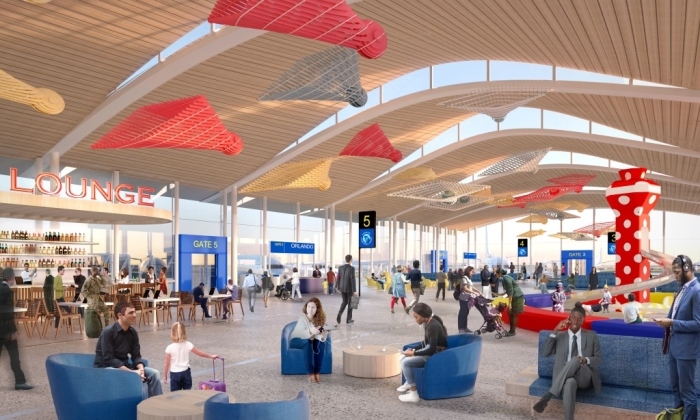 April 16, 2018, Kansas City, Missouri, USA: Please join Alpha Energy and Electric, Inc., DBA Alpha General Contracting in celebrating our recent Multi-Million Dollar New KCI Airport Contract. This is indeed a major accomplishment – to be part of building a modern International Airport is a dream come true. A laudable project. We are humbled and delighted in securing this contract. We provide our clients with uncompromising level of excellence with integrity from planning to implementation. 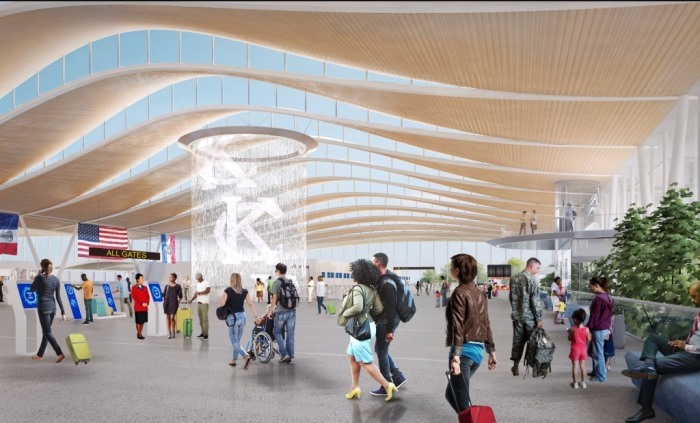 The New KCI Airport which features a two-story fountain anchoring the sleek, modern, initial design concepts unveiled on Thursday by Edgemoor Infrastructure, the team recently selected as the preferred proposer for the new terminal at Kansas City International Airport. Skidmore, Ownings & Merrill (SOM), an internationally-known architecture firm, has incorporated elements that reflect Kansas City’s cultural heritage into the preliminary design. 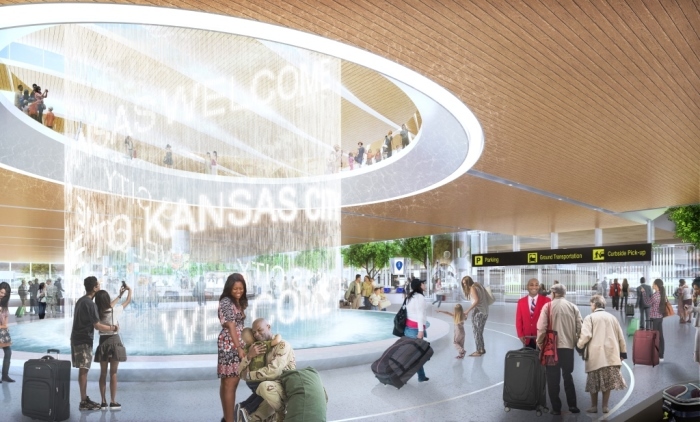 The two-story fountain in the center of the terminal would include technology to project messages and colors on the cascading water to welcome travelers. Convenience for travelers is a major element of the design as well. 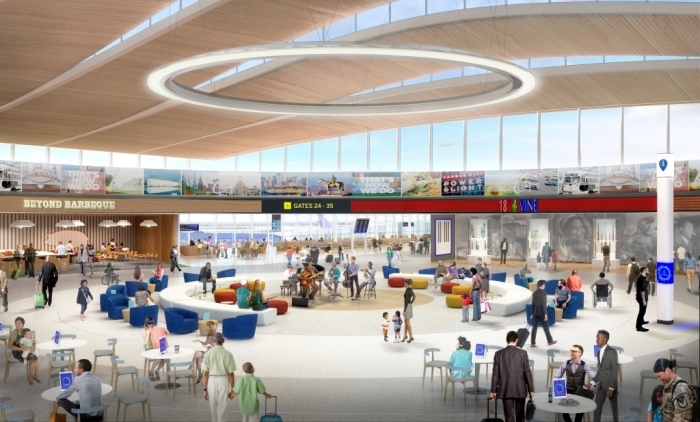 Shown in the renderings are design features close-in parking, and a two-level curbside pick-up and drop-off area which will be faster and more convenient for travelers. Also, waiting areas at each gate will have room for the increased number of passengers on the larger aircrafts of tomorrow. 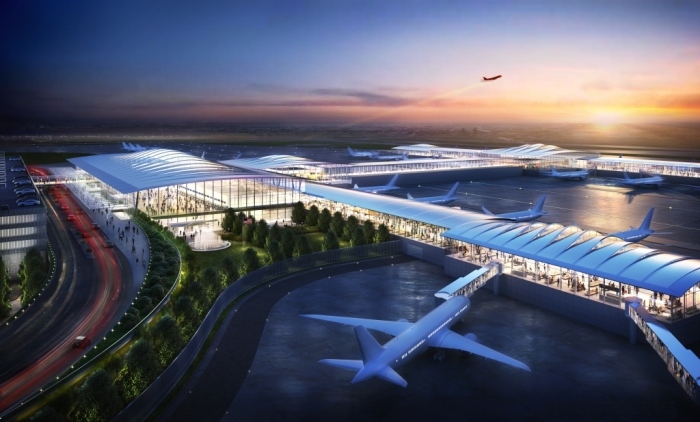 The New KCI Airport is estimated to cost $1.3 billion.